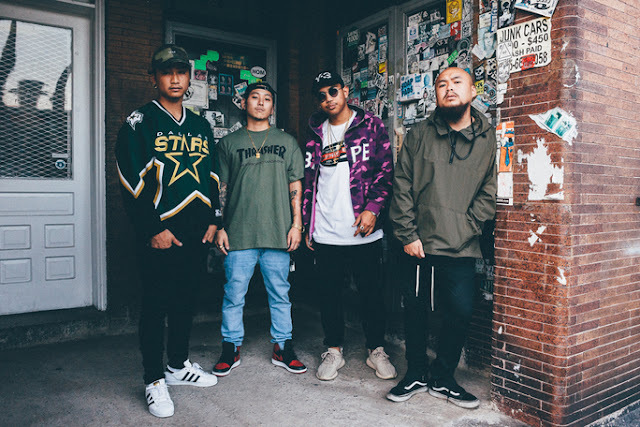 PHILADELPHIA, PA – When Philadelphia-based hip-hop group Overtime Boyz tell you they don’t sound like anybody else in the industry, it’s not an exaggeration. They’re the first All-Asian, multi-cultural, trap group in the world. They have a sound and style that is uniquely born from their heritage and struggle on the streets of Philly. And now they’re ready to showcase that unique sound to the world with the release of their new EP “Road Runnerz,” which is scheduled to drop in March. The group began with Rick Dealz and Ajhie Le Grandeur, two friends who enjoyed rap and making beats together. As they made their way through the hip-hop scene in Philadelphia, they frequently found themselves in the same places as Chyfizza and Y.T. After hearing their sound, it soon became obvious that they should all combine their efforts to create something new and unique. Dealz said they chose to name the group Overtime Boyz because of the dedication each of them has to put in the hard work that’s necessary to make it in the music industry. He said the name stands for anyone who is working overtime on their passion to achieve their goals. And on stage or off, their presence is beginning to be well-known and seems to draw everyone toward them. In addition to the new EP, the group is also releasing a new single called “Get That Work.” The music video for the song will drop on YouTube on Feb. 4, and the single is already available on Apple Music and Spotify. Although the group has only been together for about eight months, they’ve worked with Southside of 808 Mafia, Wooh Da Kid of Brick Squad, Alley Boy and trouble of Duct Tape. Overtime Boyz also has worked with Tampa Mystic, 520 promotions, DJ Alamo, DJ Culture, many of the CORE DJs, Videographers YSKSK and various other local artists.